The French automotive giant Groupe Renault has a long history in the industry. It was originally formed in 1899 as Renault Frères by the brothers Louis, Marcel and Fernand Renault. Louis was the engineering genius and built his first car, the Voiturette, in 1898. He handled design and production while Marcel and Fernand had the business smarts and were in charge of managing the company. Over the years, Groupe Renault has made a name for itself as a quality car manufacturer, and for its participation in motorsport. Despite having a presence here for 50 years, the Renault brand is not well known in the Australian market. Renault Australia first opened a manufacturing facility in 1966 in Heidelberg, Melbourne, where it assembled cars until 1981, when market changes forced the unit to close. It wasn’t until 2001, two years after the Renault-Nissan Alliance was formed, that Renault Australia made its reappearance, Nissan’s strength in the Asia–Pacific market helping Renault to extend its presence in the region. The company does well in Australia’s light commercial vehicle sector, and is now looking to expand further into the two largest segments of the Australian automotive market: the small-car category, with the recent launch of the new Renault Megane hatch with a wagon and sedan on the way; and the medium-sized SUV market, with the Koleos. 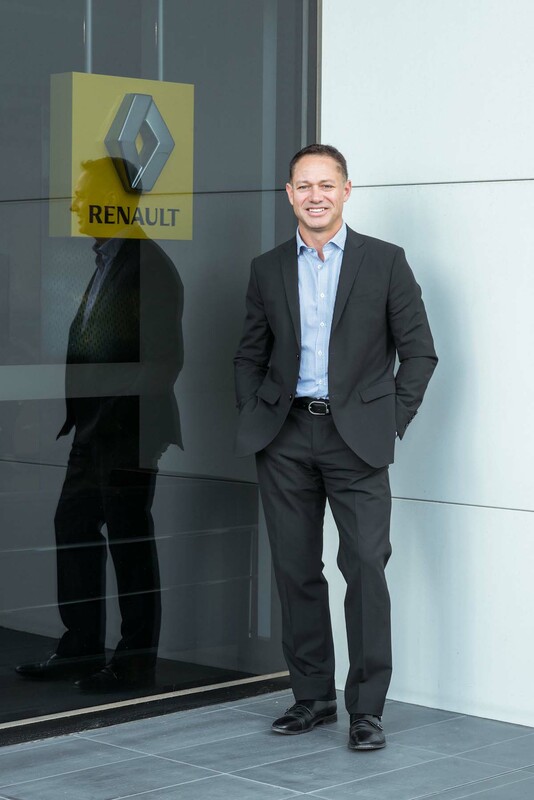 Justin says Renault Australia used to be several months to a year behind Europe, but is now introducing future designs earlier and in some cases at the forefront of product launches. Renault Australia is aware that dealers have made a significant investment to establish themselves as Renault dealers, with all the necessary facilities and staff. The company works with them to make sure that they are running efficiently and meeting benchmarks in all of the areas of the business. Another way that Renault supports its dealers is through training. The company has established a purpose-built facility and partnered with the Victorian state government and the Kangan Institute to deliver apprenticeship programs. “We support them with all the training and development needs of their employees too, so that their people really understand the brand that they should be highly engaged in, but also that they have the highest levels of product and technical training,” says Justin. The three-year program equips trainees with a technician’s apprenticeship qualification and a high level of overall competency. Justin explains that this makes them very valuable to dealers, “because to get those levels of training they would normally have to employ more experienced motor-vehicle technicians”.